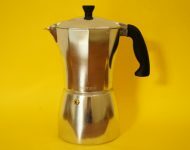 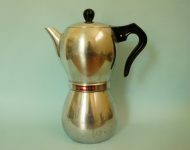 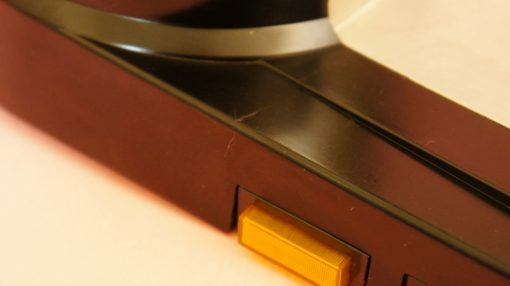 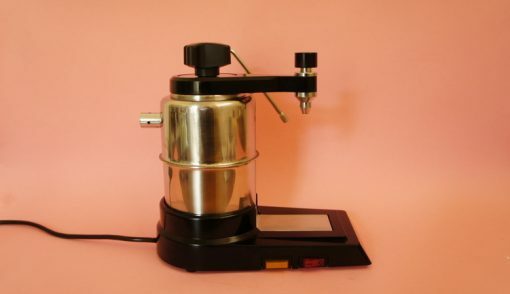 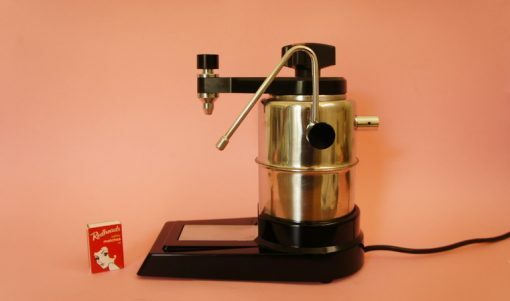 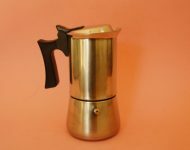 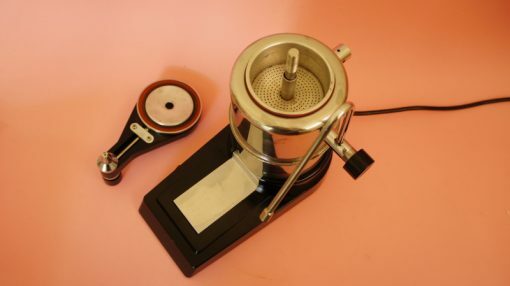 I love the industrial styling of this Signor Cappuccino coffee maker – it’s good looks fortunately don’t betray the fact that this is a 1980s machine, although I think these machines have been in production for a good many years, which is probably why the design doesn’t look very ’80s. 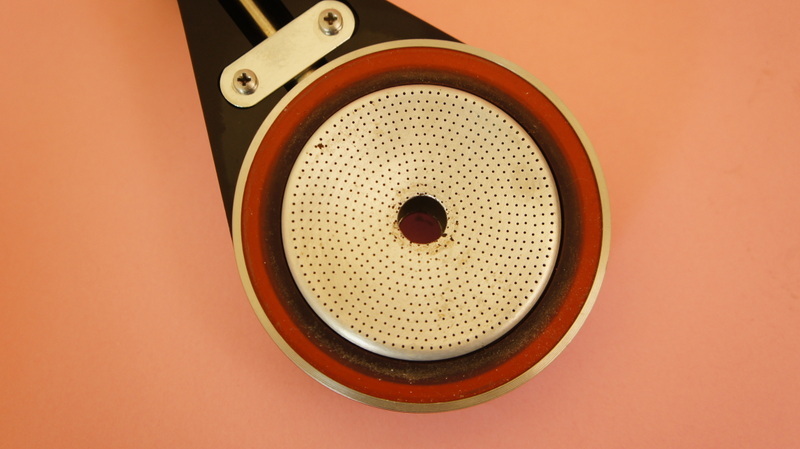 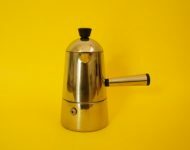 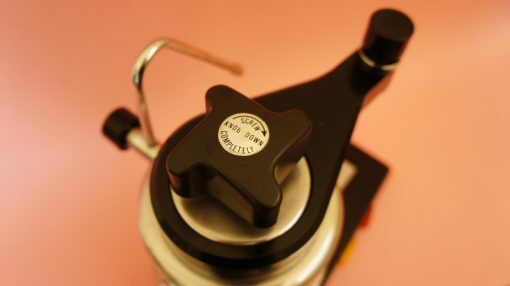 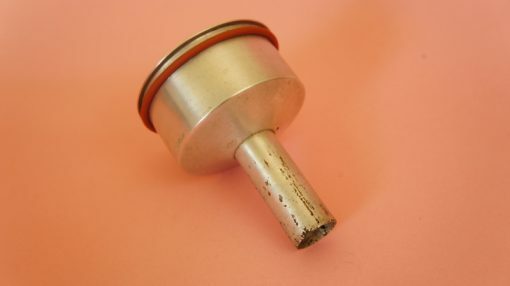 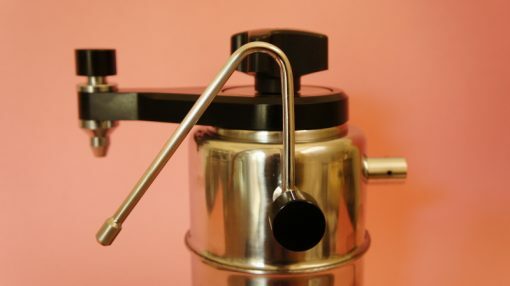 The machine works by forcing steam (and water) through the coffee grinds, and into your cup or pot. 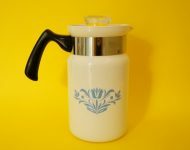 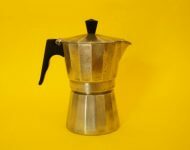 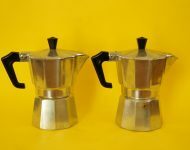 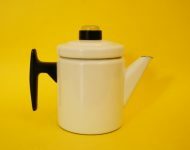 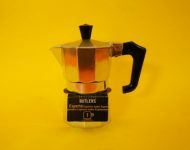 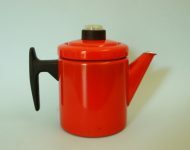 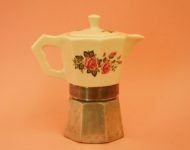 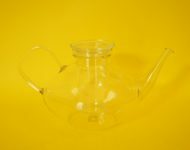 The Signor Cappuccino would originally have been sold with a pyrex coffee pot, which is sadly missing from this set, but vintage pyrex pots aren’t that hard to come by, plus you could always replace it with a standard ceramic coffee pot, or your favourite mug. It also has a steam wand, which means that you can make yourself a cappuccino (or a more fashionable flat white!). 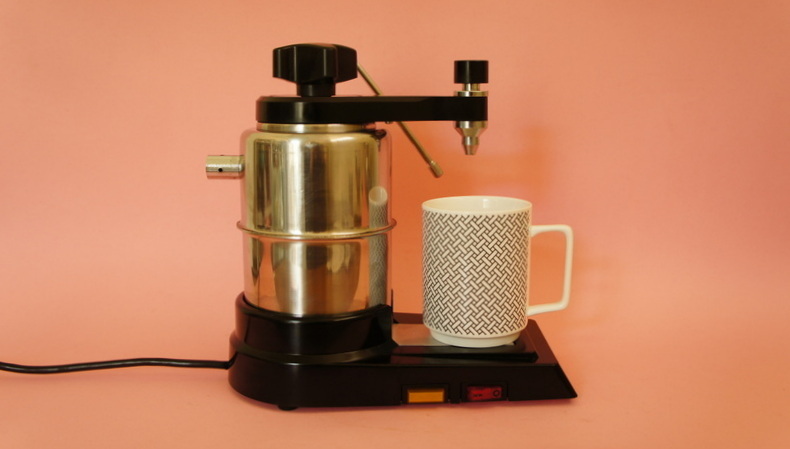 Justin and our friend, Nate, tried it out and they seemed reasonably impressed with what it could do for such a small machine – they’re both fairly fussy lads so I’m pretty confident that whoever buys this will be happy with it!